Cameron Rowland, Insurance (detail), 2016, container-lashing bars, Lloyd’s Register certificates. Installation view, Artists Space, New York, 2016. Photo: Adam Reich. Lloyd’s of London monopolized the marine insurance of the slave trade by the early 18th century. Lloyd’s Register was established in 1760 as the first classification society in order to provide insurance underwriters information on the quality of vessels. The classification of the ship allows for a more accurate assessment of its risk. Lloyd’s Register and other classification societies continue to survey and certify shipping vessels and their equipment. Lashing equipment physically secures goods to the deck of the ship, while its certification is established to insure the value of the goods regardless of their potential loss. With little other information it was difficult, for me, at least, to make sense of the e-mail: What did this slightly shabby building in Albany have to do with the abolition of slavery some 150 years ago? But then, on January 7, Artists Space sent out a second e-mail, this one featuring a long essay by Rowland that helped connect the dots between image and text. The depicted offices, it turns out, were those of Corcrafta state-run company staffed by prisoners that produces office furniture and other sundries for nonprofits and government-affiliated businesses. Corcraft, I was now able to see, is a portmanteau of corrections and craft, a dissembling piece of corporatese signaling the redemptive promise of hard work (idle hands are the devil’s playthings, as they say). Rowland argues that Corcraft perpetuates and preserves property relations that originated with slavery. After emancipation, ex-slaves were not so much free as subjected to a kind of indentured servitude. Due to laws making it all but impossible for black bodies to appear in public, especially in the South, the prison eventually took over the role of the plantation, and there, too, incarcerated subjects were put to work. Such a regime continues to this day: Many convicts are forced to labor while in prison in order to pay off the cost of their incarceration. Not insignificantly, this arrangement providessavings to state agencies as well. Cameron Rowland, Attica Series Desk, 2016, steel, powder coating, laminated particleboard, distributed by Corcraft. Installation view, Artists Space, New York, 2016. Photo: Adam Reich. Rental at cost. 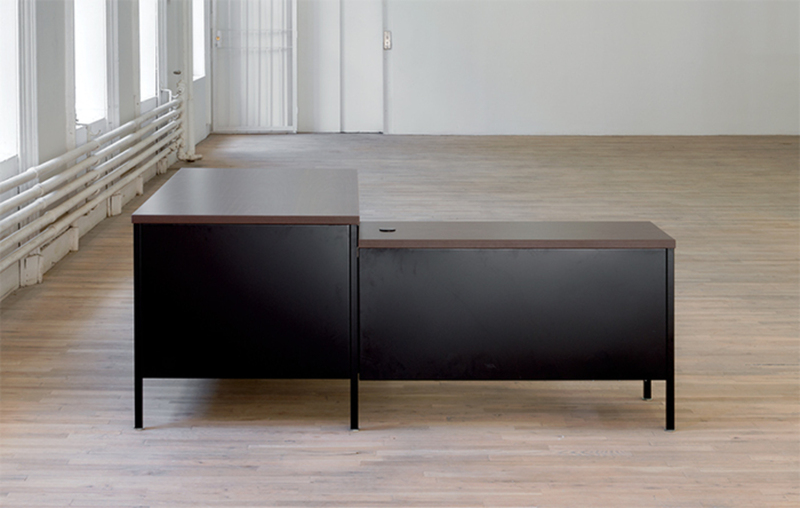 The Attica Series desk is manufactured by prisoners in Attica Correctional Facility. Prisoners seized control of the D-Yard in Attica from September 9 to 13, 1971. Following the inmates’ immediate demands for amnesty, the first in their list of practical proposals was to extend the enforcement of “the New York State minimum wage law to prison industries.” Inmates working in New York State prisons are currently paid $0.16 to $1.25 an hour. Inmates in Attica produce furniture for government offices throughout the state. This component of government administration depends on inmate labor. PART OF WHAT FEELS RADICAL about Rowland’s exhibition is that it refuses to incorporate iconography that we typically associate with slavery; rather, it takes slavery’s social relations back to questions of material production. If, as art historian Huey Copeland points out in his recent book Bound to Appear: Art, Slavery, and the Site of Blackness in Multicultural America, critical installation practices from the early 1990s by artists such as Fred Wilson, Lorna Simpson, Glenn Ligon, and Renée Green examined slavery while refusing to couch its meaning in the figure of the slave, opting instead for displays of objects and the phenomenological exploration of space, Rowland updates this strategy, focusing on what legal scholar Cheryl I. Harris has called slavery’s aftermath. The only explicit reference to slavery, in fact, is a work comprising two badges issued by the National Ex-Slave Mutual Relief, Bounty and Pension Association, an organization active in the early twentieth century that advocated for compensation for former slaves. Mounted on a matte black backing and hung by the exhibition’s entrance, these talismans serve as a guidepost, signaling the exhibition’s argument that the history of slavery (and the failure to make amends for it through reparations) continues to live on in our relations to property in general. Looking around the room, one sees how the past infiltrates even the most mundane aspects of our lived world, lodged in our infrastructure like so much sedimented material. Presenting such a sundry assortment of objects, Rowland’s work dovetails with another art-historical tradition, for it is hard to think about Rowland’s project and not be reminded of the long shadow cast by the readymades of Marcel Duchamp. Springing shovels and urinals from their typical sites through the simple act of choice, Duchamp famously used his objects not only to explore questions of use-value and exchange value but also to test the boundaries of the art institution. Importantly, though, Duchamp always insisted that he was not particularly invested in the objects he chose: Indifference was a key part of his practice. His bottle racks and coatracks were not meant to fit with the institution as much as they were intended to show that the museum could fit anything under its auspices. Today, we are much less surprised to find an artist or institution granting an ordinary object the status of artworkindeed, it is difficult to imagine a time when this was not routineand yet the relationship between works of art and their host institutions remains of critical interest. 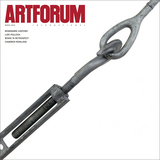 What is significant, in part, about Rowland’s work is not so much that his objects appear to be in the wrong place, as was the case with Duchamp’s readymades, but that they are emphatically in the right placeat least at Artists Space, which is a nonprofit institution able to take advantage of Corcraft’s services. Rowland’s choice of objects is far from indifferent; rather, it implicates the nonprofit space with other pillars of power and ideology. Part of the argument that Rowland makes in this exhibition, which is titled “91020000,” the account number that Artists Space was given when it placed its order with Corcraft to acquire the desk, benches, and leveler rings, is that the nonprofit space, too, is part of the prison-industrial complex; it, too, benefits from subjection and inequality. A space traditionally said to be autonomous is, with Rowland’s intervention, anything but. At the same time, one cannot help but feel that these objects are being given some kind of respite, a temporary life, in making their way up to Artists Space’s third floor. Such questions of legality and history raise the issue of precisely how much information one can really glean from these objects alone, a conundrum central to much of Rowland’s work. We often chide people whose eyes drift off to the wall label instead of focusing deeply on the artwork itself, but Rowland insists on both, on the inextricable relationship between object and supplement, and a handout at Artists Space’s front desk is key to navigating the exhibition. (One work, Disgorgement, 2016, is composed solely of a legal document forming a trust that will pay out in the event that the US institutes slavery reparations.) Moreover, Rowland does not turn these narratives inward, to some myth of individual aura or personal autobiography, but outward, to structures at largeto the prison system, to state-sponsored servitude. And yet the labels are never enough: It’s their capturing of the utterly delicate interplay between overarching systems and the specificities of a metal turnbuckle or plastic laminate that sets Rowland’s ensembles apart. So while in the past I’d felt that Rowland was carrying on an antiaesthetic tradition, and that I should not spend too much time lingering over a nicked wooden tabletop (49–51 Chambers StreetBasement, New York, NY 10007, 2014, which had resided in a New York City government building that was sold off to a private developer, the expulsion of objects from the public to private realm, i.e., neoliberalism, being another of the artist’s key themes) or gazing at a squeegee in a bucket (the work Zero Tolerance, 2015, which commemorates New York City’s ruthless enforcement of laws regarding even the pettiest crimes), at Artists Space I was deeply struck by Rowland’s command of volume, material, and space. When I came across the artist’s Loot, 2014, a crusty mailing crate filled with bent copper scrap, at MoMA PS1’s Greater New York this past fall, I was likewise drawn to its physical and formal qualities. There was also a deep commitment to working through the problems of art history. Looking down at this object placed squarely on the floor, I thought of Carl Andre’s work and his interest in what he called the “pure metals of commerce.” Here, these metals appeared resolutely impurethey were not ordered from the factory, which is where Andre obtained his specimens, but acquired from a scrap yard. Whereas Andre sees metal as a kind of distillation of the industrial system, Rowland presents his as its endlessly cycling detritus. In an era when all our objects are seemingly self-sufficient, even intelligent or animated, Rowland is emphatic that things do not speak for themselves, but are rather beholden to larger systemsand yet here, too, he marks a difference. Ever since Michel Foucault’s Discipline and Punish (1975) and especially Gilles Deleuze’s “Postscript on the Societies of Control” (1990), we have been accustomed to thinking that the current regime of power is now administered almost exclusively through intangible networks of surveillance and restraint, and that the age of enclosure has come to an end. We may not be in prison, but we know that we have not been released. We are monitored by cameras and tracked down via credit cards and cell phones. All those who wander, in other words, are not free. (In fact, Rowland’s photographic suite Handpunch #1–5, 2014–15, depicting biometric time clocks, attests to this condition.) In order to mirror this new paradigm, art has become increasingly technological; the mantra “There is no outside” is repeated ad nauseam. But while Deleuze’s control networks are clearly in effect today, Rowland’s work challenges their totality by evokingand underscoring his own implication withinour country’s violent, disciplinary past and present, its all-too-physical, material, even mundane, leveling of old-school force and punishment. For Rowland, then, objects are inseparable from the systems they dwell in, just as systems are always inextricable from the stuff within them. The “system of objects,” as Jean Baudrillard so presciently dubbed it in 1968, described the rise of a complex, ever more global interplay between vast structures (markets, governments, prisons, schools) and individual entities, immaterial circuits and material elements, that would come to define our late-capitalist present. Yet in Rowland’s work, we are confronted by another system of objects: slavery, which turned people into property, subjects into things. (As Copeland has noted, long before Duchamp “turned a urinal into a work of art through a series of enunciative acts in 1917, black bodies were subject to even more arbitrary and binding shifts in their categorical status, ready-mades avant la lettre.”) That horrific system is still with us, is indeed inseparable from the neoliberal networks that Baudrillard diagnosed. To see these structures superimposed on the shapes of the presentin Rowland’s echoing contoursis not empty pseudomorphism. Rather, it shows us how aesthetic forms continue to perpetuate themselves, as does violence. We are not as far from history as we would like to think. 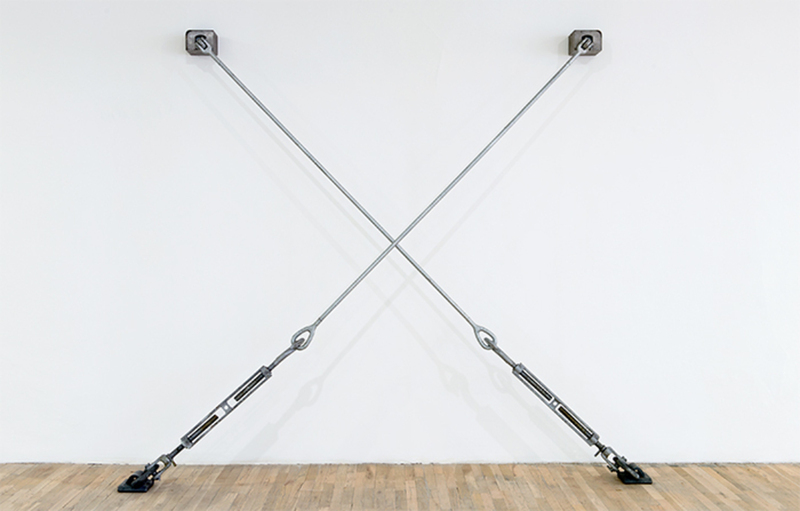 “Cameron Rowland: 91020000” is on view at Artists Space, New York, through March 13. Alex Kitnick is the Brant Family Fellow in contemporary arts at Bard College. Supplemental caption information provided by the artist.